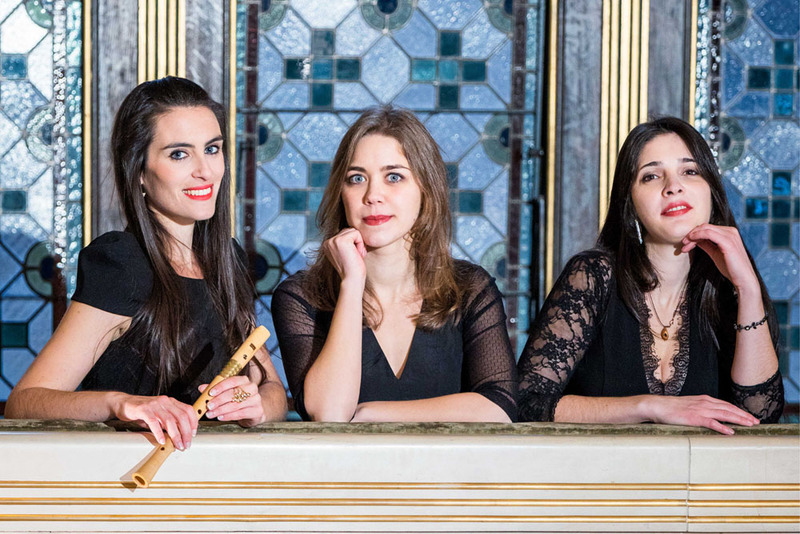 Founded in 2014 the Ensemble Cicchetti Musicali has been exploring the medieval and renaissance repertoire, focusing on the music of the late middle ages as an era of transition. The Consort as an intimate accord of a group of instruments has been the instrumental counterpart of the vocal polyphony of the renaissance. The beauty and uniqueness of the vibrant rhythmical patterns and the delicate melodies of the medieval songs have put the members of the ensemble under their spell which led to their decision of specializing in vocal music and their historically informed performance. The homogeneous and richly colored sound of the recorders allows the three players to breathe new life into every single voice of the subtle compositions yet keeping and showing their beautiful individuality. was born in Vienna in 1991. She received recorder, violin, viola and baroque viola lessons from Hanns-Christian Stekel, Klaus Peisteiner, Georg Hamann and Ulrike Engel until 2010. She graduated with distinction with two bachelor degrees from the Music and Arts University of the City of Vienna (performance degree in Early Music and studies with Michael Posch) as well as the University of Music and Performing Arts Vienna (with Theresia Köck). Furthermore Marina studied with Pierre Hamon at the CNSMD Lyon and participated in several masterclasses with Dan Laurin, Han Tol, Sergio Azzolini, Alessandro Quarta, Lorenzo Cavasanti and Michael Form, among others. She performed in different chamber music ensembles in Austria, Italy, France and Switzerland, at venues such as Styriarte Festival (Lunch Concerts), Mimiko Basel, KHM Vienna, Festspiele Stockerau and Entroterre Festival. 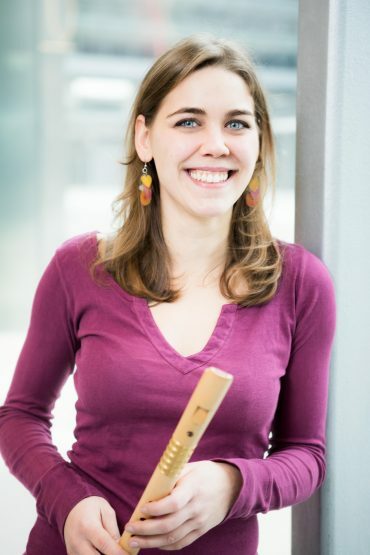 She is currently finishing her masters degree in Early Music at the Music and Arts University of the City of Vienna and is teaching recorder and viola. was born in Spain in 1986 where she began her recorder studies which she continued at the Escola de Musica e Artes do Porto (ESMAE) in Porto (Portugal) with Pedro Sousa Silva. After graduating from the ESMAE Sofia received a master’s degree in Early Music from the Music and Arts University of the City of Vienna where she studied with Michael Posch. Several masterclasses with Dan Laurin, Peter Holtslag, Dorothee Oberlinger and Michael Form, to name a few, expanded her musical horizon. Sofia performed in diverse projects at Musikverein Vienna with musicians such as Marco Ambrosini. Currently she is focusing on her personal projects with the Ensemble Cicchetti Musicali (with an emphasis on music of the medieval age and the renaissance) and the Ensemble vox in fabula (which liaises music and literature). was born in Linz (Austria) in 1987 where she received her musical education (piano, violin and recorder) and studied piano in the enrichment class of the Anton Bruckner University with Reinhold Puri-Jobi from 1997-2004 and continued with her performance degree in 2005. She won several prizes (solo and chamber music category) and received a special prize for “Contemporary Ensemble” at Prima la Musica in Bolzano in 2001. Angela performed in various chamber ensembles and received further musical impulses on the baroque violin with Gunar Letzbor (Ars Antiqua Austria) and on the recorder with Michael Oman (Austrian Baroque Company) and Petra Wurz (Quartet New Generation). 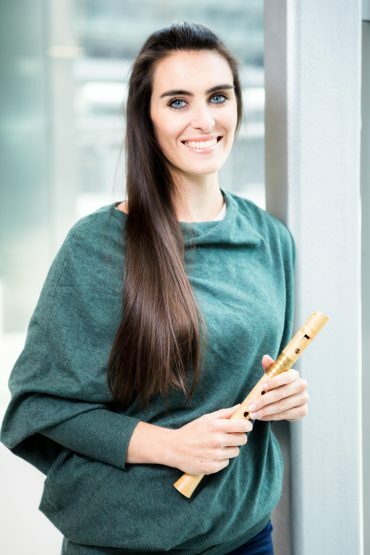 From 2007-2014 she studied recorder at the University of Music and Performing Arts Vienna (with Theresia Köck and Rahel Stoellger) and received her master’s degree with distinction. In 2015 she graduated with distinction with a master’s degree in musicology from University of Vienna. She attended several masterclasses with Gerd Lünenbürger, Han Tol, Paul Leenhouts, Dan Laurin and Michael Form as well as the Amsterdam Loeki Stardust Quartet.